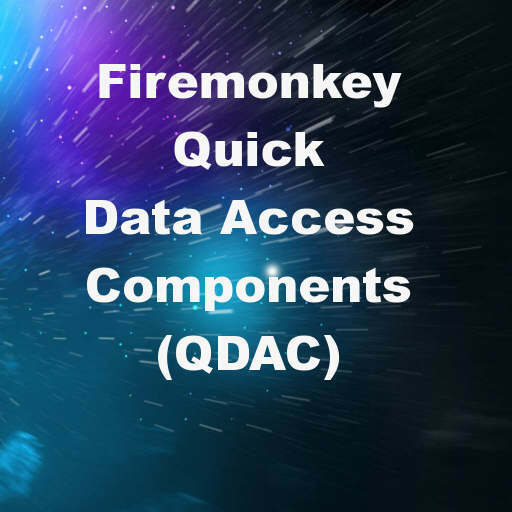 The Quick Data Access Components (QDAC) library out of China is a set of components and units for Delphi XE8 Firemonkey to read and write data quickly from a variety of sources. Formats and databases that QDAC appears to support are CSV/TXT, binary MDS, MDZ, XML, JSON, MsgPack, PostgreSQL, and SQLite. These components are cross platform and should work with Android, IOS, OSX, and Windows. A lot of the information about the components is in Chinese so you’ll need to use a translator for more in-depth information. The full source code is available through SourceForge but there are also a couple of other repositories linked from the QDAC website and on Github. You can read more about QDAC on their official blog site as well which is updated frequently. Also included with the library are a QWorker unit with many functions such as multi threaded sort and filter, a QLog unit for logging, a QAES unit with AES Encrypt/Decrypt, and a QDigest unit with MD5 and SHA hash functions. You should be able to use these components and units with Appmethod as well. Download the latest source code version directly from the QDAC website for Delphi XE8 Firemonkey. Download the SourceForge version of the QDAC library for Delphi XE8 Firemonkey.